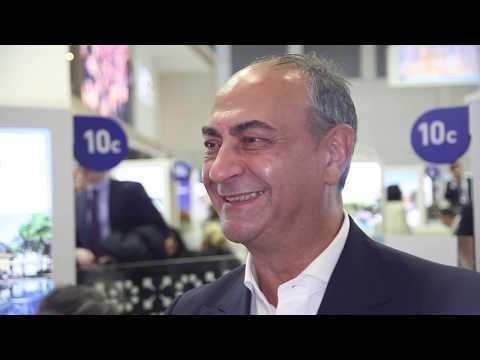 Breaking Travel News chats with Vincent Smarrella, general manager, One&Only The Palm during ITB Berlin. He tells us how Expo 2020 has galvanised the tourism sector in the emirate while also discussing what is on offer at this one of a kind property. Located on the furthest tip of the Palm’s West Crescent, One&Only The Palm offers guests the chance to leave the bustling city behind and enter an exclusive island enclave. Montenegro’s hottest new resort, Portonovi, has released new CGIs highlighting how the new development will look ahead of the launch this summer. Located in a working tea plantation in Gisakura in south-west Rwanda, on the edge of the ancient Nyungwe Forest, the resort began welcoming guests on October 1st. Kerzner International has introduced One&Only Urban Resorts. The new brand will be introduced in Dubai’s latest architectural icon, One Za’abeel, a completely original destination with revolutionary design. One&Only has announced the appointment of established industry leader Jan Tibaldi as general manager of One&Only Reethi Rah in the Maldives.